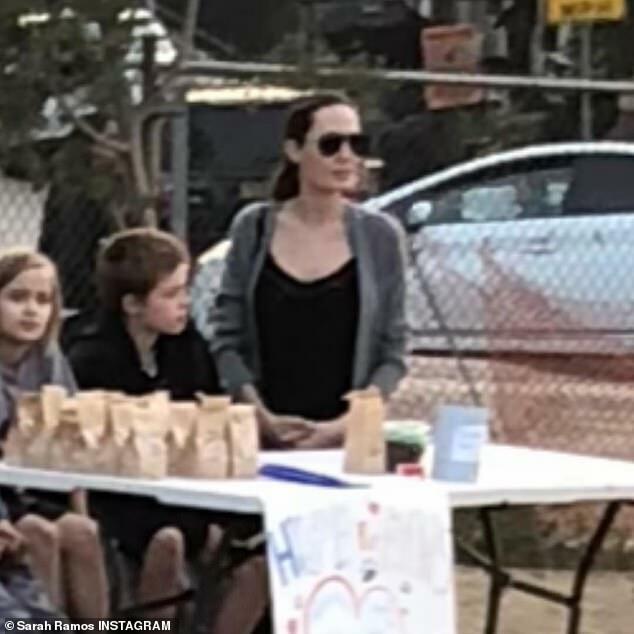 A young actress captured an unexpected moment with Angelina Jolie and her kids at the dog park and decided it was her 'calling' to share it with the world. 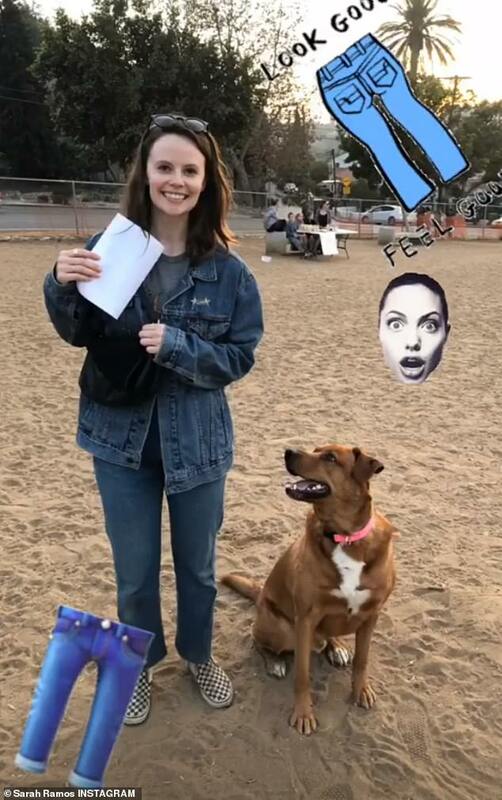 Sarah Ramos, who starred as Haddie on the long running drama Parenthood, posted an image to Instagram that she snapped of Jolie and three of her children peddling organic dog treats at a local dog park. The 27-year-old snapped the picture in November but only decided to post it on Thursday and it quickly went viral. In the photo, a denim-clad Ramos is standing in the foreground of the shot taken at the park. 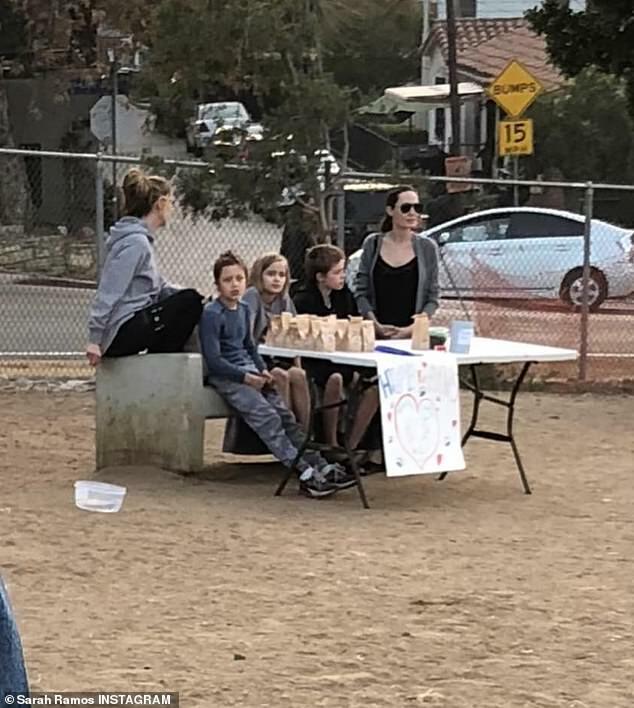 Behind her, a folding table was set up in front of a bench with a homemade sign and rows of brown paper baggies containing organic dog treats. The 43-year-old Oscar winner was perched on one corner of the bench while her three youngest children, 10-year-old twins Knox and Vivienne, and 12-year-old Shiloh sat waiting to sell their wares. 'I’m not sure why God chose me to tell this story but I have to fulfill my calling: A couple months ago I went to the dog park and saw Angelina Jolie selling organic dog treats,' Ramos wrote on Instagram. The Parenthood actress later posted a series of rambling selfie videos to her Insta Story explaining the post. 'In conjunction with my latest bombshell Instagram post, I feel that I need to shed a little bit more light on this miraculous situation,' she told the camera. 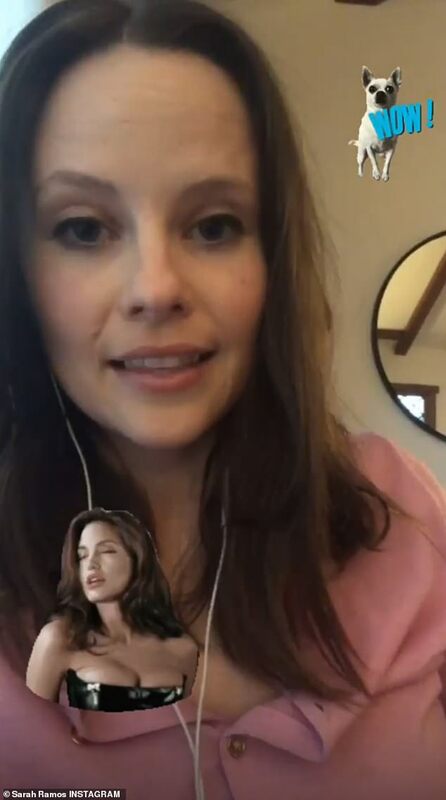 Her videos were peppered with gifs and stickers of Angelina. 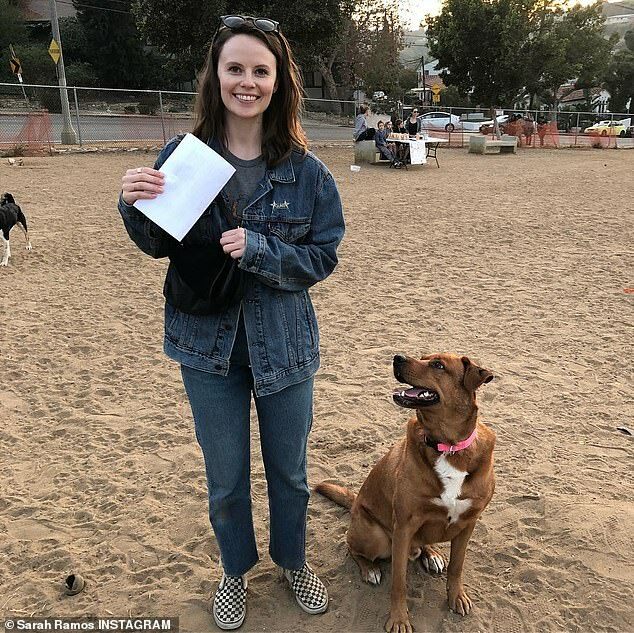 'This happened months ago, in November and I felt that I needed to protect the privacy of Angie and her family who were just trying to sell some organic dog treats at the dog park,' she continued to her 95.1K fans. 'This happened months ago, in November and I felt that I needed to protect the privacy of Angie and her family who were just trying to sell some organic dog treats at the dog park,' she told her 95.1K fans. It's unclear of the actress was being facetious or serious in her posts. Her videos abruptly cut off and restarted in places, making her musings a bit disjointed. 'This completely ruined my day,' Ramos said with no further explanation. Sarah said she thought she was being sly and snapping the picture without the A-list family noticing. 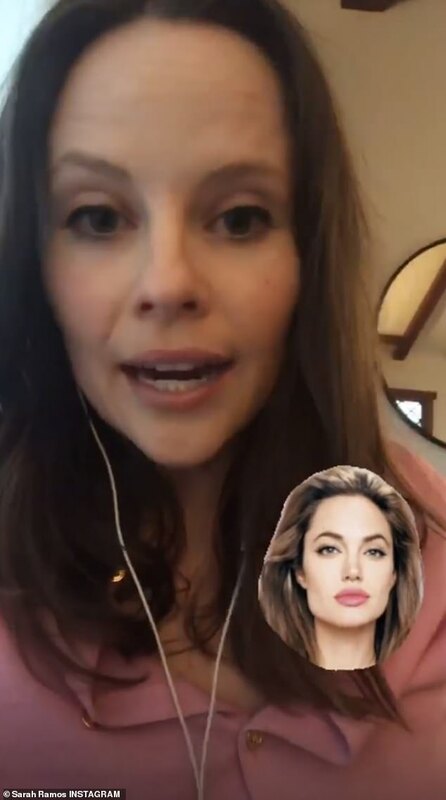 Meanwhile, Angelina is busy launching her latest project, an English-language current affairs program targeted to young people with BBC Learning.